Bonhams upset favourites Sotheby’s in the market for Greek art last week with a £3.6 million sale that established 17 new records. Both auction houses were presenting their regular auctions of Greek art with estimates roughly similar at £2.5 million to £3.5 million each. Christie’s does not hold specialised Greek art sales, and traditionally Sotheby’s Greek sales have ruled the roost. But with one or two of its star lots estimated to fetch more than £100,000 each failing to sell, the company only mustered just enough to meet its lower estimate. 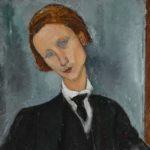 Staff at Bonhams, led by their Athens-based advisory team headed by Terpsichore Maria Angelopoulou, broke into song when they surpassed not only their highest estimate but the Sotheby’s total as well. Has Something Just Happened in the Old Master Market?